There are many different aspects to fitness and to living a fit lifestyle. We touch a lot on two of the more obvious branches of the fitness tree; nutrition and working out. That’s because they are two very essential aspects and there are many different factors to each which are different for every person. Another very important part of living the fit life, that is often over looked, is the recovery aspect. When engaging in weight and resistance training, you are putting your muscles through a lot. That is how you trigger growth and increase your strength, but afterwards, your muscles are going to be in need of some TLC and there are different forms that can take. We talked to Sarah Jane Parker, ACSM cPT, ACE Health Coach,Mom, runner, yoga instructor and the Fit Cookie herself. 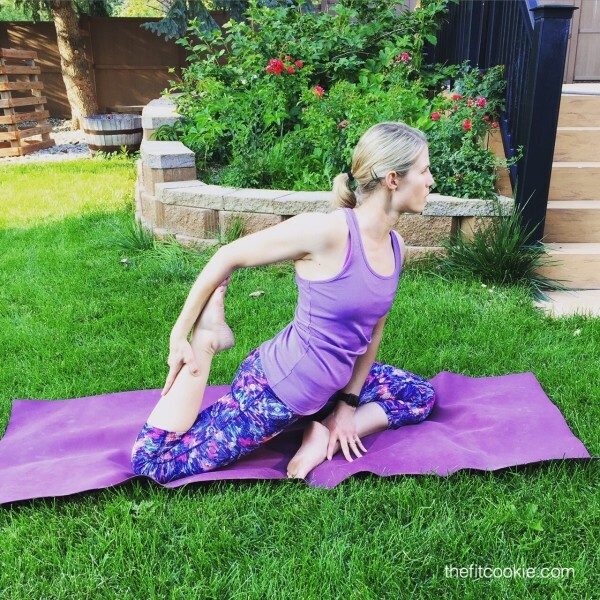 Sarah is the mind behind thefitcookie.com and we asked her about some different recovery techniques and the importance of working techniques like these into your life. What do you feel is most important to keep in mind for someone over the age of 45 who has just decided to get fit? That progress is progress no matter how small. Sometimes people new to fitness get impatient and want to see results yesterday, but it will often take time to see results. If you are combining proper diet with exercise, you will see results, but they won’t come overnight. Why is recovery after a work out Important? Recovery after a workout is essential because progress depends on it! Taking time to stretch, foam roll, sit in the sauna, and sleep helps to reduce cortisol levels, repairs muscle, and keeps your energy levels up so you can continue to perform your best in every workout. What are some recovery tips and techniques to keep in mind? What is the foam roller and what’s it used for and how can it help? A foam roller is a wonderful tool for myofascial release (a manipulative treatment that attempts to release tension in the fascia). It’s like a deep tissue massage you can do for yourself, and it works to break up scar tissue and adhesions. This keeps your fascia, muscles, and tendons elastic and mobile, improving movement and mobility. What’s your #1 fitness tip? Progress not perfection. Don’t worry about being perfect or having things just right. If you can’t workout for your scheduled 60 minutes, then it’s okay to do just 15 or 20 minutes. Be flexible! How is nutrition important to fitness? So now you have another tool in your fitness tool box to help you get even closer to achieving your goals. Follow Sarah’s words of wisdom, and stretch, foam roll, sauna and sleep your way to a more complete work out plan, and never ever forget to listen to your body. Don’t forget to check out Sarah on Twitter, Facebook and Instagram for more great tips, tricks and recipes.